Madcap England men's 1960s mod tailored three button suit jacket in a classic retro navy mohair tonic fabric - Perfect for the dandy mod in you! 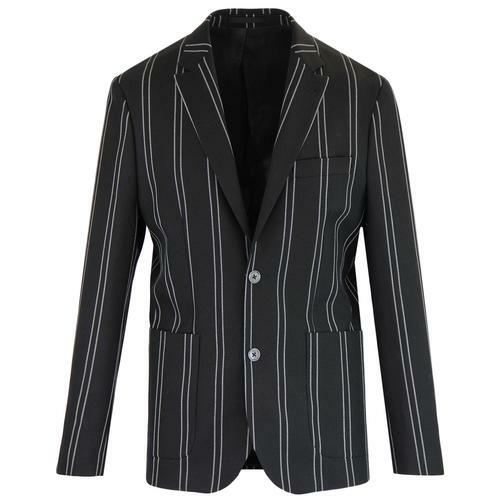 Classic slim mod cut suit blazer benefitting from slender retro notch lapel, contrast black lining, two flap side pockets and stylish mod right side ticket pocket. 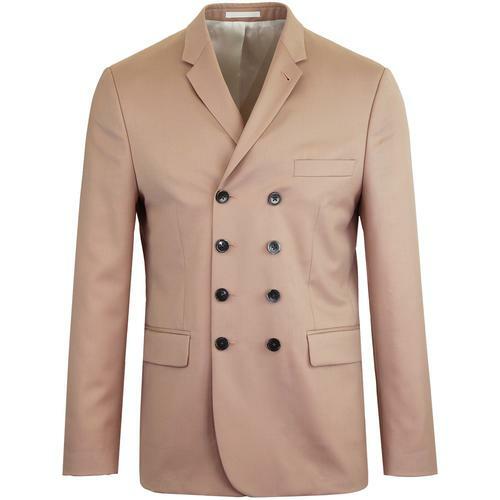 Covered buttons to the single breasted fastening and non-working cuffs add to the genuine 1960s mod vibe. Left side breast pocket. 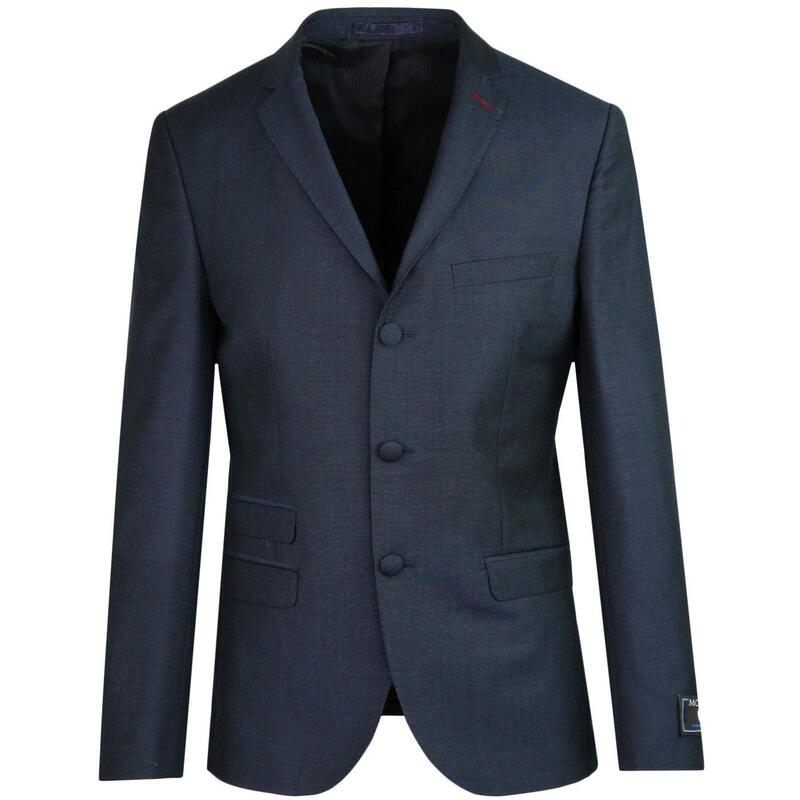 This stand out men's mod blazer jacket is finished with side vents, contrast buttonhole stitch details and retro internal piping trims. The Madcap England burgundy mohair tonic suit is inspired by classic mod revival style. 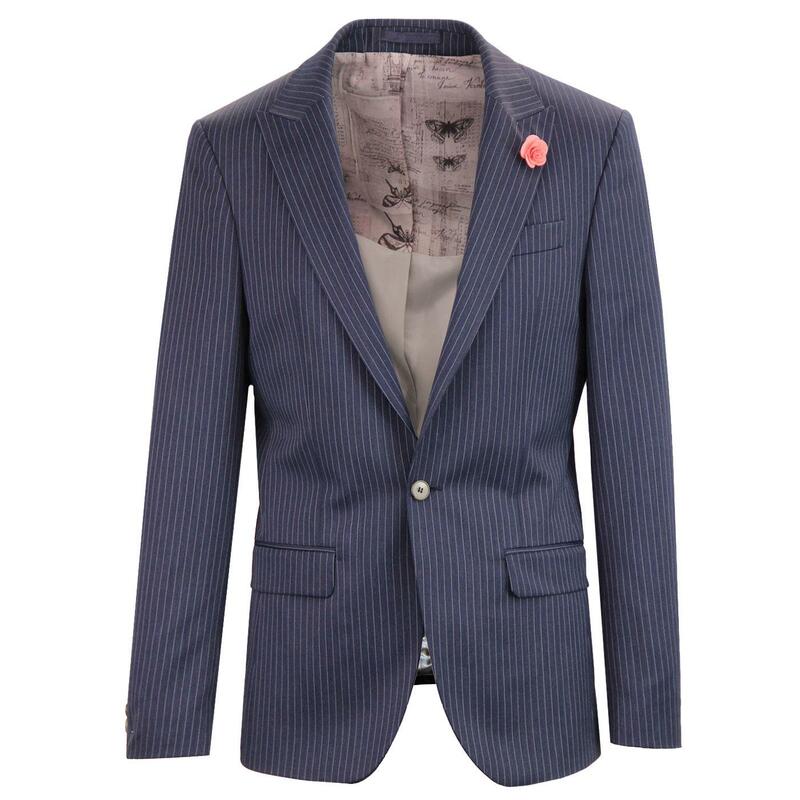 You can team this Madcap England tailored navy mohair tonic mod blazer with the matching mod 5 button lapel waistcoat and retro slim leg trousers to create the ultimate 3 piece suit. Available to buy as separates. 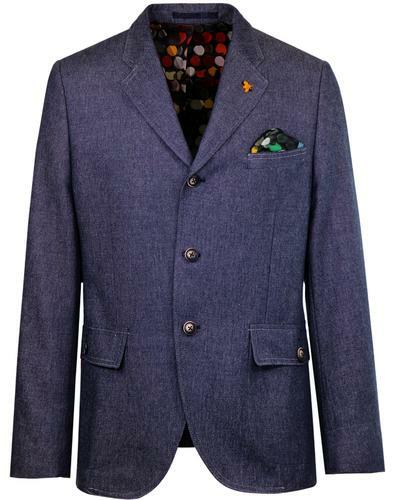 Tailored by Madcap England mohair tonic blazer jacket in Navy. Contrast burgundy stitch detail to button holes. SKU: S185NVYAS Mohair Blazer Jacket. 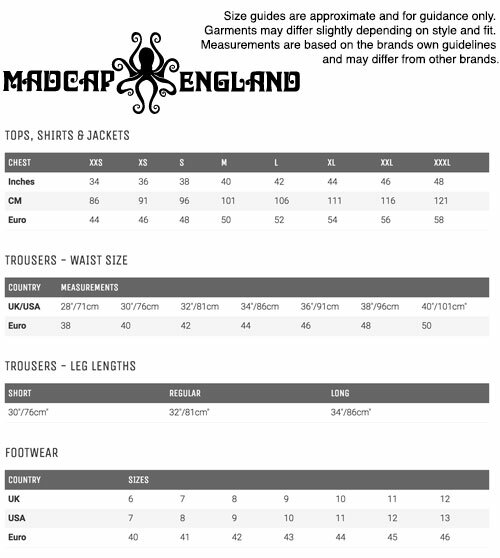 Composition: 55% polyester, 35% wool, 10% Mohair. Lining: 58% viscose, 42% acetate. Lining 2: 100% polyester. Lining 3: 50% viscose, 50% acetate.